History — "Two Hills Reloaded"
In the mid 70’s, Ray Wood and Jeff Munzert teamed up to produce a powerful acoustic duo. They went on to play together for several years playing a vast variety of nite clubs in Western New York. In 1977, Ray and Jeff entered a local talent contest held by WYSL radio. They were selected as one of the contest winners for their original song “Let it be Known”. An album was produced by WYSL of all local talent winners and released. At that point, it was time for the acoustic duo to graduate to a full band. Joe Serwinowski, playing bass guitar, and Doug Field, on drums, joined Ray and Jeff to start up the Two Hills Band. It took some time to find the right combination of players to create the right chemistry for the band. Mike Watson played guitar and sang for several months, Mark Kaufman, sang and played keyboards, Geo Litz, played guitar and sang. All were great players but it wasn’t what Two Hills were looking for. Joe left the band for a progressive trio. Ray, Jeff, and Doug struggled along with auditions. In early 1978,Tom Fronczak entered playing bass guitar. Soon after, George Doran entered the band to form what was then known as the Original Two Hills Band. George had a beautiful voice to blend with Ray and Jeff and George was known for his uncanny ability to sing Neil Young. People loved him for his talent. From 1978-1981 the band had great success, drawing massive crowds to every event. They opened for some headliner acts; Charlie Daniels, Molly Hatchet, Jonathan Edwards, New Riders of the Purple Sage, Horse Lips, Flying Burrito Brothers, James Cotton, Asleep at the Wheel, Vassar Clements and many more. In 1981, George Doran, Doug Field, and Tom Fronczak left the band for other projects. 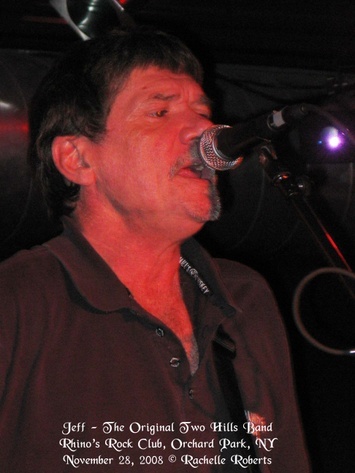 In 1982, Tom Lema joined the band playing bass. The band went through a number of excellent players over the next 10 years as Two Hills. Jeff Munzert left the band to join the Rascal Flatts tour becoming the senior stage tech for the next 13+ years. 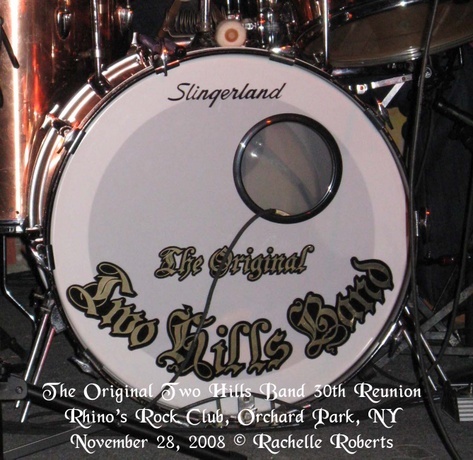 In 2008, 30 years later,the band was reunited for a reunion at Rhino’s Nite club on Southwestern Blvd. Over 500 people turned out to see their favorite original and cover tunes performed by the band. The night was a huge success, the band playing for five hours straight. In 2015, Jeff retired from the Rascal Flatts tour and now resides in Kentucky. Over the next few years he returned to Buffalo where Ray, Jeff, Tom,and Doug got together to jam and create new originals. Sparks were ignited again, and soon practice was increased. Currently, Ray, Jeff and Doug the founders, along with the original Pedal Steel player Brian Senefelder, and shortly there after Buffalo Zew on fiddle & harp entered the picture. Just recently we added Rich Basile on bass and vocals, a great player and a real addition, welcome aboard Ricco!. Welcome back after 40 years to “Two Hills Reloaded”!